Summer does seem to fly by and this hot summer has been a challenge with hot humid conditions, and heavy rain causing flooding conditions. With just two weeks left in the traditional „dog days of summer‟ I am hoping for warm/mild August days, especially for the upcoming Hartford Fair and Pataskala Street Fair. Including in this Update are fair previews, and a look ahead at the busy month of August. 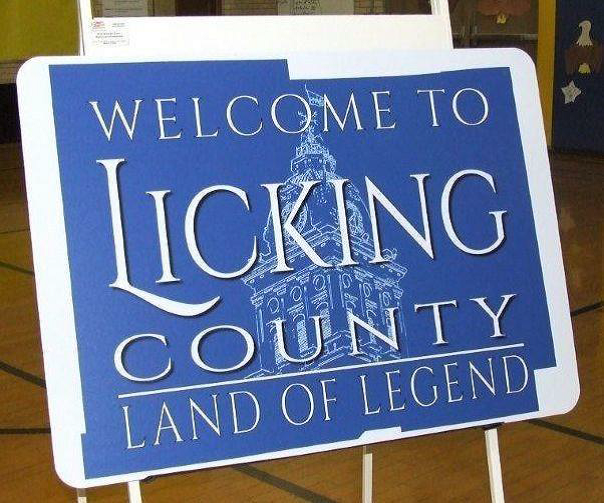 *The Blue Sign above was a template for dozens of customized „Welcome to Licking County‟ signs now posted at all County entrances, thanks to the efforts of the County Planning Commission. These signs are customized with artwork appropriate to the county regions at the entry point. The Pataskala Street Fair is August 16th –19th. 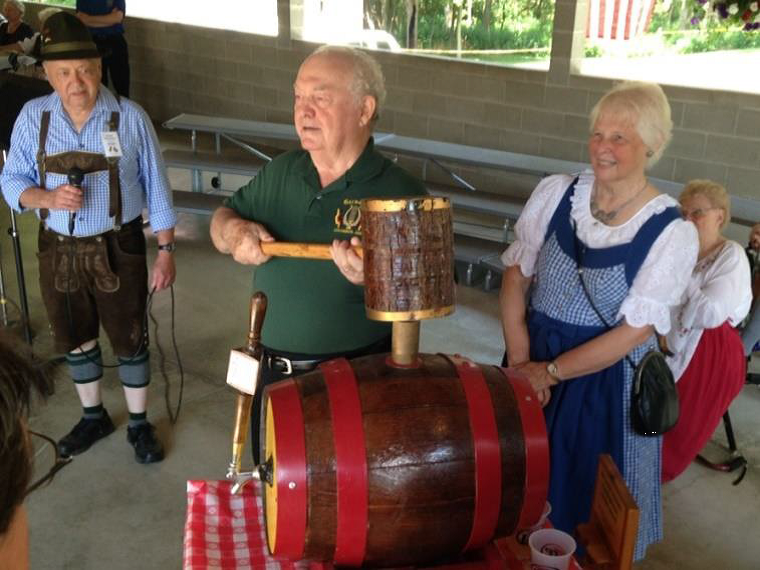 In addition to the four day street festival and Saturday parade in Pataskala, the West Licking Historical Society reminds their Mead-Needham Museum (in downtown) is open daily during the festivities from 4:00pm till 8:00pm. 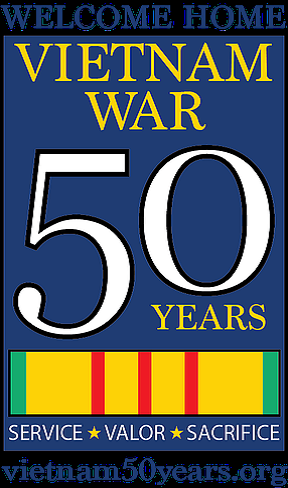 The Street Fair‟s Saturday parade theme is a „Salute to Vietnam Era Veterans‟. 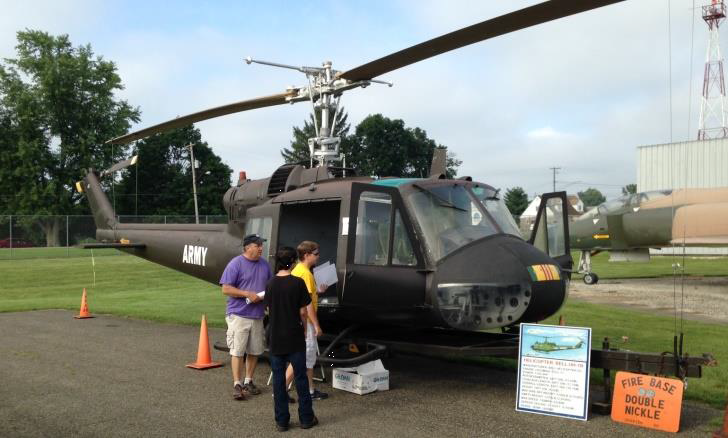 Local Vietnam Vets will act as Grand Marshals and will display their UH-1 Huey Helicopter in the Parade. Tri-Village Church will provide American flags to the parade audience and the Bremen Banking Center will donate caps for the vets. Vietnam Vets should call Judy Baird (740-927-2673) to join the event. A recognition event will be held at the Nutcracker following the parade. Reminder the Licking County Airport on Heath Road in Heath will be the site of a World War II aircraft Fly-In and tribute event – on Saturday, August 26th. The Opening Ceremony is at 11:30am and closing ceremonies at 6:00pm. The event will feature aircraft on display, music, food vendors, several historic WWII military aircraft, the WWII Traveling Memorial with 23 panels commemorating the campaigns in both the European and the Pacific Theatres. Several Licking County WWII Veterans will be honored. You are invited to bring family and friends! The County Airport will feature a „fly-in‟ breakfast from 8:00am till 10:00am. 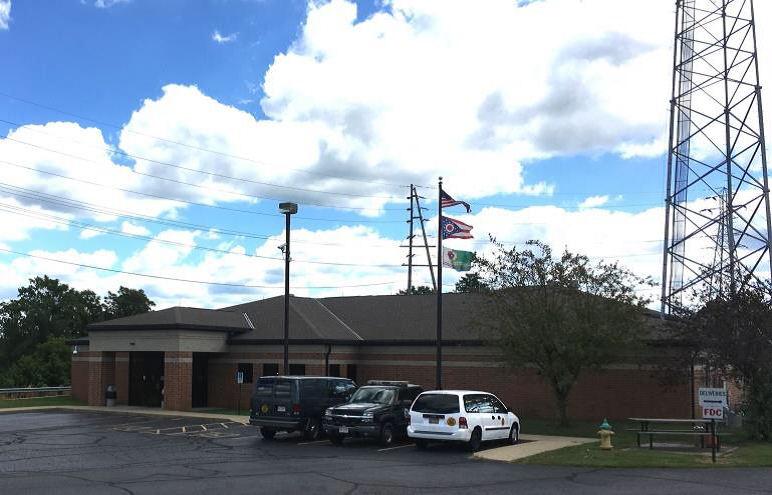 Licking County Government has begun planning for an alternate site for its Regional Emergency Communication Center at 119 East Main. This location was activated in 2014 as the County‟s Center for emergency call taking, law enforcement, fire and EMS dispatching. purposes. The building was leased free of charge with the County assuming upkeep and utility costs. The Licking County Prosecutor recently received notification from the Ohio Facilities Construction Commission sharing their concerns over persistent settling of the rear of the building, and concerns over its long-term structural integrity. The State based their concerns on a report by an engineering and construction services consultant who has been and continues to perform monitoring on the structure. The study weighed the option of repairing and stabilizing the structure versus demolition and removal. While Licking County has use of the building under a lease arrangement, the ultimate decision on either repairs or removal will be up to the State as the owner. The report states that if the cost of repairs proves impractical, that the State should consider abandoning and demolishing the facility as soon as „practical‟. In reaction to this report and the concerns expressed, the Licking County Commissioners working with the Licking County Prosecutor, the Licking County Sheriff, and 9-1-1 EMS/Homeland Security in developing a plan to move to an alternate and interim dispatching site. The place to be in Licking County starting Saturday, August 5th will be the community of Croton, in northwestern Licking County, as „The Hartford Fair‟ takes center stage. This Fair, organized in 1858, serves as Licking County‟s annual Fair. I am joined by Commissioners Duane Flowers and Rick Black in inviting you to join us at the 2017 Expo. General Gate admission is $7-per visitor 8-years and over, with children 7-years and under free. Monday, August 7th is Senior Citizens and Veterans Day at the Hartford Fair in Croton and the reduced admission price is $3 per person from 7:00am till 4:00pm. The Aging Program will provide lunch and entertainment from 11am till 1:00pm that day in The Pavilion across from the Grandstand, for Licking County Seniors. The Fair begins with preview day on Saturday, August 5th. It will be „CoughlinCars.com Day‟. Featured will be the annual King and Queen Competition at 6:00pm. Then at 8:00pm it will be „Phil Dirt & the Dozers‟ with an oldies concert at the Grandstand. The evening will conclude with a fireworks show at dark. Sunday, August 6th is Tech International Day and features the UTV Razor Races on the Grandstand Track at 6:00pm. Monday, August 7th is Park National Bank Day with OSTPA Truck and Tractor Pull (new night) on the Grandstand Track at 7:30pm. Tuesday, August 8th is Heartland Bank Day and the Grandstand entertainment at 7:30pm is the Demolition Derby, and Figure Eight Racing. Wednesday, August 9th is Lash Chevrolet Day and features the Monster Trucks on the Grandstand Track at 7:30pm. Thursday, August 10th is Nuway Incorporated Day and the Grandstand feature is Fast Traxx Motocross Racing at 7:30pm. Friday, August 11th is NAPA/Washington Auto Parts and Paint Day featuring the popular Rough Truck Competition at 7:30pm at the Grandstand Track. The 159th annual Hartford Fair concludes on Saturday, August 12th with FREE admission day. It will be Trillium Farms Day with the Championship Horse Pull at 7:00pm at the Grandstand, and Square Dancing featuring „My Country‟ at 8:30pm. As you travel the Fairgrounds plan to stop and visit the County Government displays under the Grandstand. There will be Government displays in the Natural Resources Park, as well! 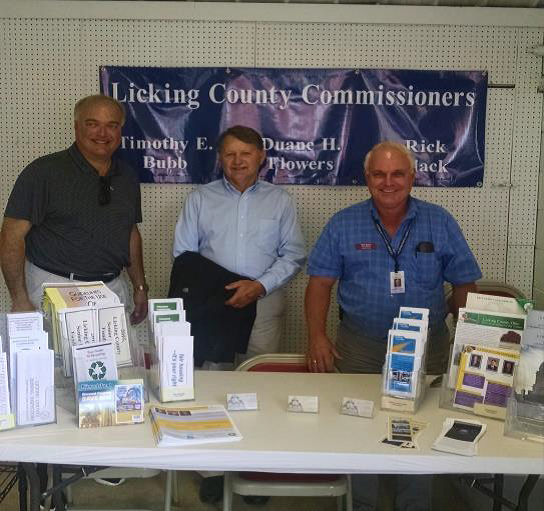 Licking County Commissioners (l to r) Tim Bubb, Duane Flowers and Rick Black invite you to visit the local government displays under the Grandstand! 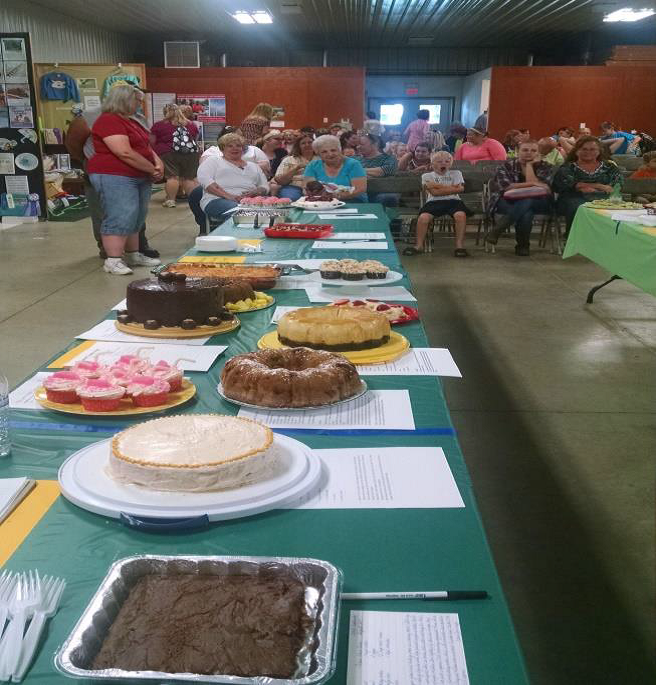 An annual Hartford Fair highlight Thursday at 10:00am will be judging the annual “Sweet Treats to Eat” bake-off in the 4-H Building. The judging will be conducted by County Commissioner Tim Bubb, County Treasurer Olivia Parkinson and Nate Strum, the Director of Grow Licking County. Plan to stop by to meet the bakers, young and old, and congratulate them. The treats will be available for tasting when the judges complete their „difficult‟ task! It‟s time to swim with the dogs! 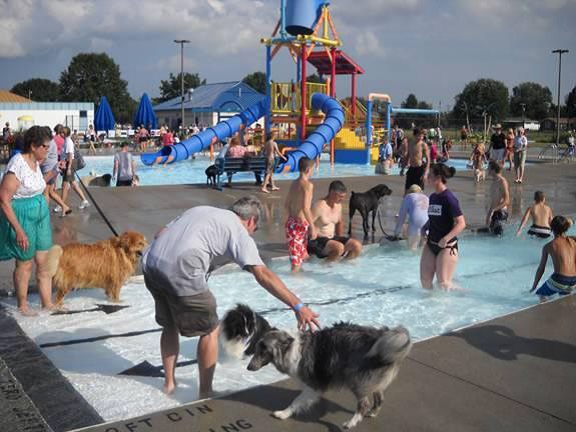 On Sunday, August 20th plan now to bring your „Best Friend‟ out for a fun evening of pooches in the Activity Pool and Lazy River at the Heath City Water Park. 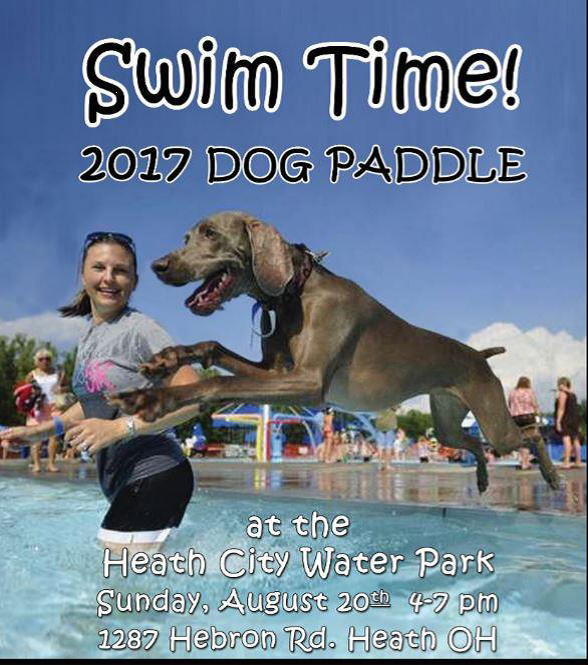 Located behind City Hall, at 1287 Hebron Road, this Water Park events runs from 4:00pm till 7:00pm. The Maennerchor Park, in south Newark (off Orchard Street), will be the site for the Annual Ox Roast and summer celebration on Saturday, August 26th. The FREE event begins at 12:30pm with the raising of the flags and playing of the American and German National Anthems. Then comes the ceremonial tapping for the first beer keg! This is a family event with children‟s entertainment from 2:00pm till 4:00pm. Also, continuous entertainment all day! bratwurst or roast beef sandwiches, or great meals with German sides. It is a Big Fun Day as we wrap up summer! 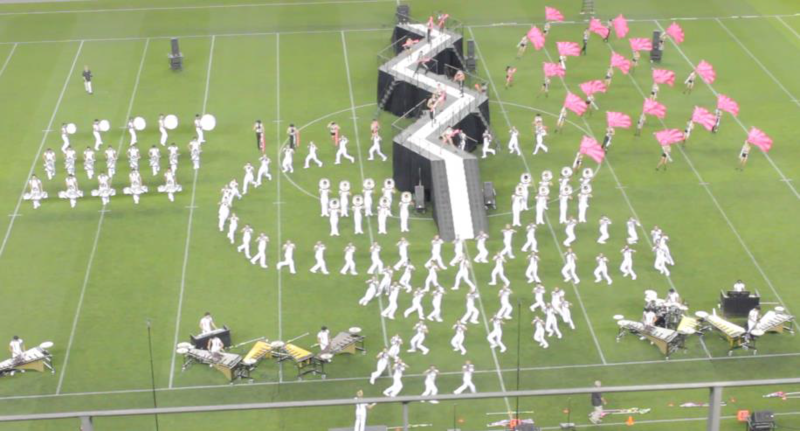 For those who enjoy halftime shows with precision music and marching, I would suggest an evening visit to Newark‟s White Field to see the Canton Bluecoats Drum and Bugle Corps. The renowned Bluecoats visited here last year and went on to win the 2016 Drum Corps International World Championship. I viewed their rehearsal in 2016 and it was an amazing high energy performance, which I would recommend. The Bluecoats visited Denison University in late spring for their organizational camp, and will return here in August for a two day rehearsal before the last leg of their annual summer tour. This public event at White Field THIS Wednesday, August 2nd from 7:00pm till 10:00pm. For the first two plus hours they will conduct their demanding rehearsals, and at the end will be a full run through of their 2017 show „Jagged Line‟. There is no ticket sale however a $3 student donation and $5 for adults will be appreciated, and will be split between the visiting Bluecoats and the Newark High School Band. by contacting, in advance, either Randall Lamb with the Bluecoats (regalmusic@roadrunner.com) or Lee Auer (lauer@laca.org) NHS Director of Bands. 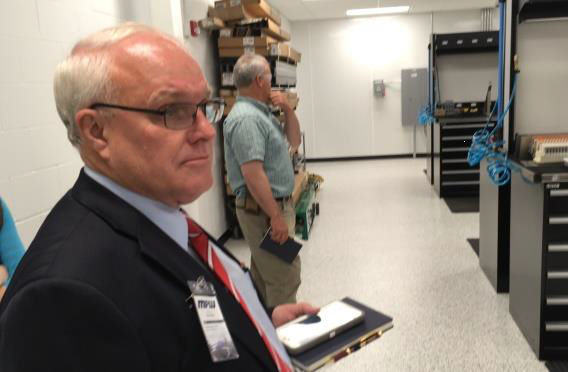 Commissioners Rick Black (photo) and Tim Bubb attended the recent open house of MPW‟s new Technology Center on Route 37 in southern Licking County near Luray. This 86-thousand square foot addition to the MPW Campus includes a 40-thousand square foot fabrication shop and 36-thousand square feet of office space for engineering and IT staff. 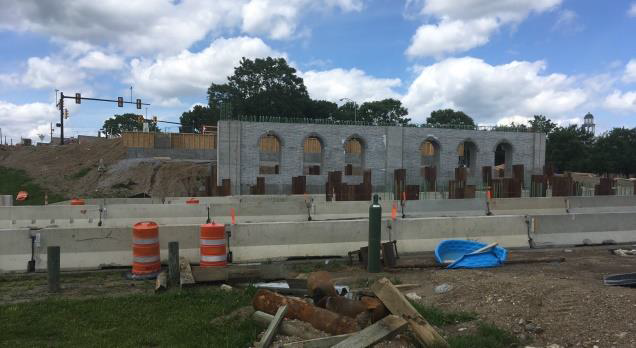 The County, Union Township, Lakewood Schools and the State provided assistance in locating the project here, which to date has led to the creation of 50 additional jobs. Nationwide MPW now employees some three thousand staff in a variety of capacities. Congratulations to MPW owner Monte Black and his family on their company‟s growth. 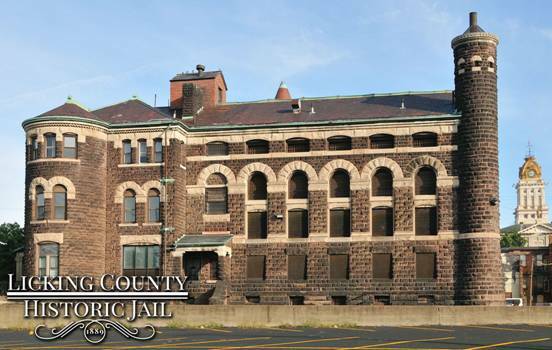 Senior citizens can enjoy a County Historic Jail Tour, on South Third Street in downtown Newark, on Tuesday, August 22nd from 2:00pm till 7:00pm. The cost is $5 to all individuals‟ 60-years and older, who are Licking County residents. Ticket price for individuals younger than 60-years accompanying seniors, and seniors who are not Licking County residents is $10. Reservations are not needed. The Tour includes re-enactments of notorious prisoners and light refreshments. This event is part of National Senior Citizen Day and is courtesy of Licking County‟s Senior Levy Fund. The addition this summer of a new artificial turf field at Lakewood High School, off U.S. Route 40 at Lancer Drive, makes it the fifth local high school with a manufactured playing surface. 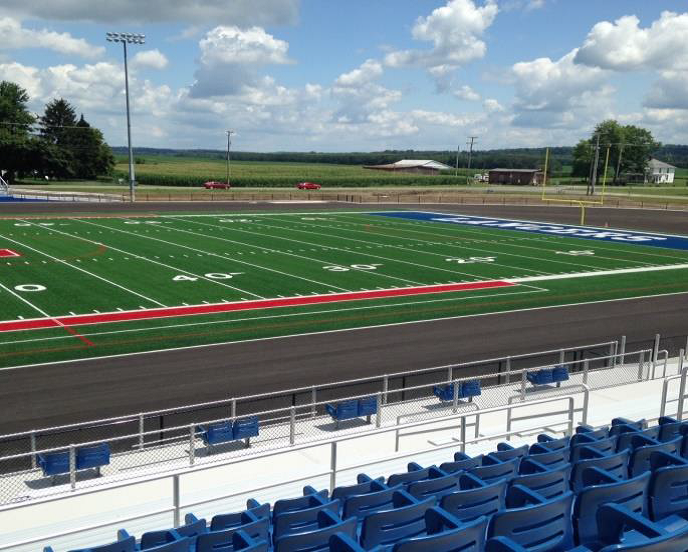 The others with synthetic turf are Licking Valley, Newark‟s White Field, Watkins Memorial and Johnstown. The $3.5-million Lakewood project includes a stadium makeover including new home and visitor stands, a concession stand, ticket and office, and training facility. The advantage for high schools, having an all-weather outdoor surface, is that it allows for dozens of additional sports and other events, now unaffected by grass field and weather related conditions. Licking County Prosecutor William Hayes continues his “Prosecutors Service Award”, „Top Cop of the Month‟. It is awarded to a law enforcement officer for his or her „steadfast and exemplary‟ case work. The recipient of the “Prosecutors Service Award” „Top Cop of the Month in Licking County‟ is awarded to Detective Todd Green. He graduated from Newark High School in 1979. Green attended Ohio State Patrol Academy. Green was a Newark Police patrol officer for 3 years then a member of TEAM 7 drug interdiction unit. He now is major crimes detective assigned to the Central Ohio Drug Enforcement Task Force. State Route 16 or the Newark Expressway, will be closed for construction. East and west Expressway traffic, through downtown, will use the single lane ramps, and the speed limit through the construction area will be reduced to 45-miles per hour. Congratulations to my good friends Mike and Andre Sarap on the opening of their second restaurant in Licking County. 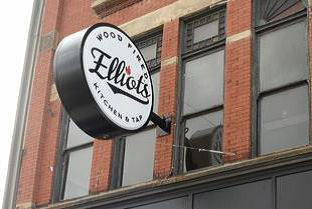 Elliot‟s Wood Fired Kitchen and Tap in located in downtown Newark in the former Sparta. The name Elliots refers to the fact the building, nearly a century ago, was Elliot‟s Hardware. They also operate the Red Oak Pub in north Newark. In addition to the specialty pizza, they also feature „street tacos‟. This is yet another addition of great dining options in rapidly developing downtown Newark. For the past several years the office of Congressman Pat Tiberi has held twice monthly office hours in the Licking County Administration Building at 20 South Second Street in downtown Newark. These are held during the day on the 1st and 3rd Thursdays of each month. Starting in September U.S. Senator Sherrod Brown‟s staff will begin regular hours here as well. Brown‟s staff will be available for appointments or walk-in visits on the 1st and 3rd Tuesdays of each month. Program the Friday night after Thanksgiving. The construction around the downtown Square will be complete! Next month the Licking County River Round-Up will celebrate its 23nd anniversary. This year‟s river clean-up will be the morning of Saturday, September 9th and registration for participants opens this week. For details visit River Round-Up at their Facebook page, call 740-670-5330, or visit information@lickingswcd.com . Licking County Litter and Recycling is proud to join the list of sponsors for this event. The Licking County Health Department‟s (LCHD) Safe Communities Coalition reports six traffic fatalities during the second quarter of 2017, April 1 to June 30, in Licking County. Of the six fatal crashes, one was a pedestrian, one was a motorcycle rider who was not wearing a helmet, and two involved a young driver (15 to 25 years old). Two of the crashes remain under investigation. From January 1 to June 30 this year, there have been 13 traffic-related fatalities in Licking County. The number of traffic fatalities during the second quarter declined in the past few years. During the same time frame in 2016, there were seven fatalities, in 2015 there were eight, and in 2014 there were 10. While the number of fatalities has decreased, there is a spike in crashes during the beginning months of summer. 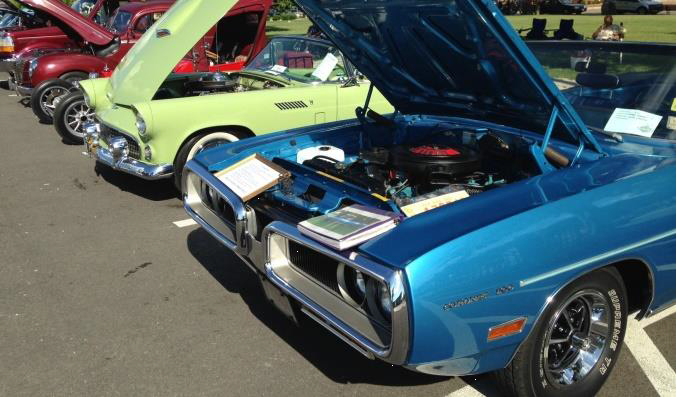 Some traffic safety experts refer to the time period between Memorial Day and Labor Day as the “100 deadliest days” because of the sharp spike in crashes, especially among young drivers. The Safe Communities Coalition reminds drivers not to drink and drive and to plan ahead with a designated driver. The message is simple, if you drink, do not drive. Do not take the risk. Find an alternate, safe way home so you do not risk your life or the lives of others. The Safe Communities Coalition will be promoting traffic safety issues including drunken driving prevention, seat belt use, distracted driving and motorcycle safety at the Hartford Fair from August 5th to the 12th. They will have a booth located in the Commerce Building where fair goers can experience the driving simulator, play the prize wheel, and receive more information about safe driving. The Licking County Historical Society is seeking sponsors and golfers for its annual Golf Outing fundraiser. It will be held at Moundbuilders Country Club on Monday, August 21st, at 1:00 PM and is open to the public. This is an opportunity to be a part of a Licking County golfing tradition, golf a historic World Heritage-nominated site, and support the LCHS in its mission to preserve local history. Cost to golf is $80 per person or $320 per foursome, which includes 18 holes of golf with a cart, a boxed lunch before the round, two drink tickets, dinner following the round, and raffle tickets for great prizes. To register to golf or for more information on sponsorship opportunities call the LCHS Office 740-3454898 or e-mail: lchs@alink.com. Finally, „thanks‟ to Jim Matesich and the staff at Matesich Distributing for the Friday afternoon visit to Newark by the world famous Budweiser Clydesdales 8-horse hitch and wagon on July 14th. 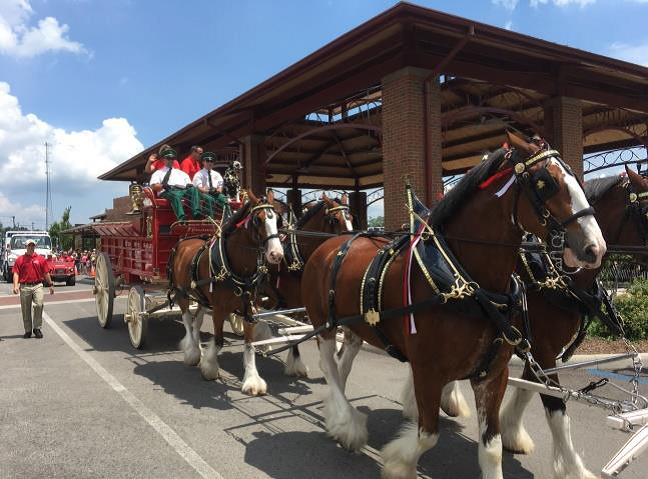 The Clydesdales entertained a crowd of several thousand as they circled downtown and drove through the Canal Market District. Also, at the CMD the Matesich Company and Budweiser hosted an event honoring Licking County armed service veterans. Feel free to forward this e-mail in any direction you would like, and let me know the e-mail address of anyone who would like to be included on my Update Newsletter list. 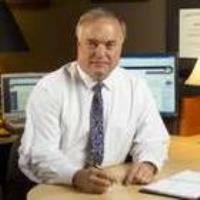 Also, visit my Commissioner Tim Bubb site on FaceBook.